On 9th January morning, under the leadership of President of AEMG, Mr. Roger LI, General Director of AEMG, Ms. Jenny WANG the delegation visit Northeast Forestry University. 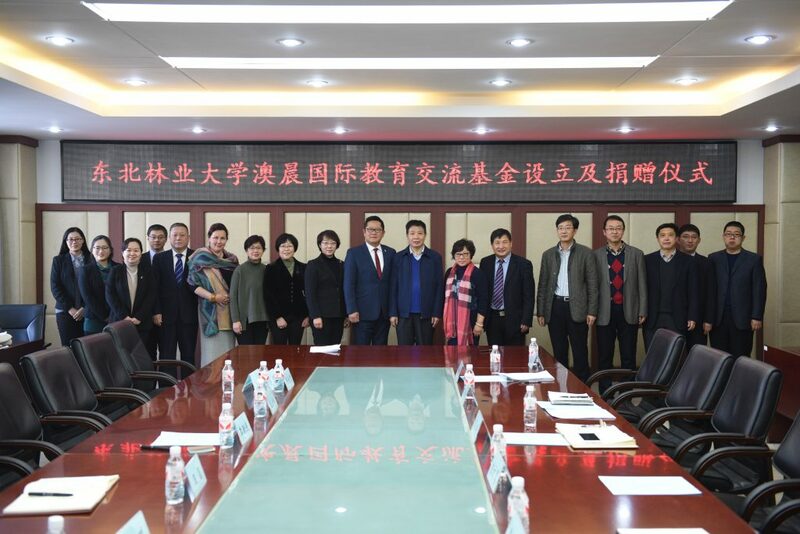 Prof. LI Bin, President of NEFU and Ms. CHEN Wenhui, Deputy secretary of the party committee warmly welcomed the delegation. On behalf of the school, Prof. LI Bin, President of NEFU, thanked AEMG for its support in the internationalization of NEFU and hoped to cooperate in more fields. He also highly appreciated the efforts made by AEMG for the cooperation and exchange of culture, education and scientific research in China and Australia for many years. Mr. Roger LI introduced the history and current situation of AEMG and the company has been committed to promoting the internationalization of Chinese universities for years. Ms. Jenny WANG summarized cooperation process and a feasibility plan was proposed for the next step. Mr. Roger LI and Ms. CHEN Huiwen, Deputy secretary of the party committee, signed the donation agreement.